Here at The Chocolate Hedgehog, we sell chocolate making party kits. The kits contain everything you need for two hours of chocolate making fun, including organic chocolate buttons and specialised chocolate making equipment, such as mini cookie cutters. Following simple instructions and hosting tips, everyone makes truffles, fudge slabs and flavoured chocolate bites. The Chocolate Making Party Kit is recommended for up to four people and makes the perfect birthday, Christmas or Valentine’s present. 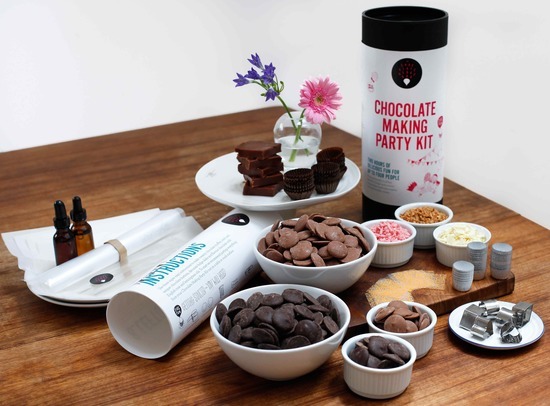 The Chocolate Making Group Kit is recommended for up 12 people and ideal for hen parties, social activities and group get-togethers.